As we celebrate National Siblings Day, Piazza Seafood spotlights Nicholas and Bryan Piazza, the two brothers that are the driving force behind Piazza Seafood. So what is unique about Piazza Seafood? Who is better at Math? Read on to find out! PS: What is your role at Piazza Seafood? PS: What is unique about Piazza Seafood? 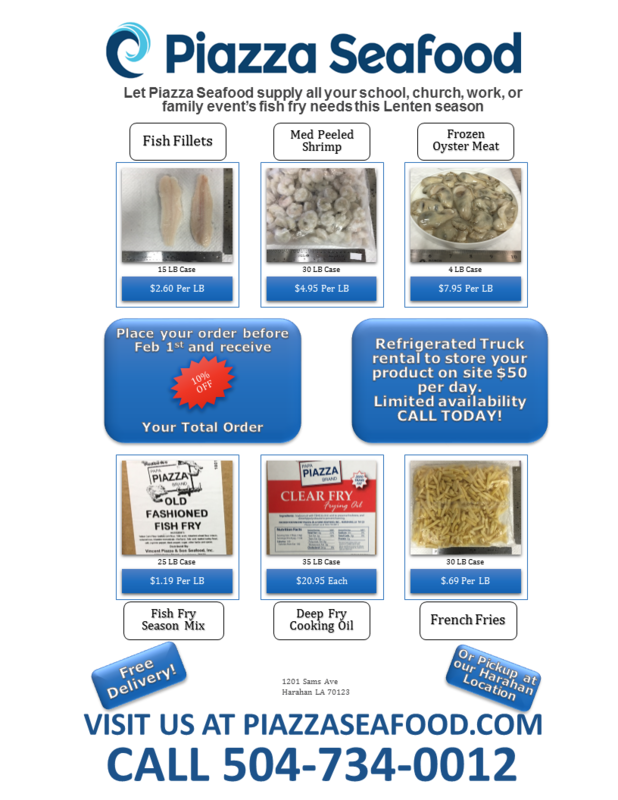 Seafood processing, Seafood distribution, Seafood procurement. BP: The Piazza Family has been in the seafood business for over 100 years. PS: Did you always know you wanted to have a part in the family business? NP: I was fortunate early on to realize my career destiny was to take Piazza Seafood to a level our ancestors dreamed about. BP: Yes, I had a strong work ethic and the business never allowed a moment with nothing to do. PS: Describe your brother in three words. PS: What sports did he play growing up? NP: Soccer, Basketball, Football, Baseball, you name it! PS: What’s one of his go-to comfort foods? PS: Who’s the better cook? NP: Gotta go with me on this one. BP: I would have to say him. PS: Who’s better at math? NP: Depends on who is checking our work! BP: I would have to say me. PS: How has your brother influenced your career? NP: Reminded me of what is most important at the most critical times. PS: What is the best part about working together? NP: Same Vision and Work Ethic. BP: Same desire and vision.